We offer a variety of services to suit your project. Take a look at some of our finished jobs. Welcome To Tolar Construction, LLC. TOLAR CONSTRUCTION, LLC. 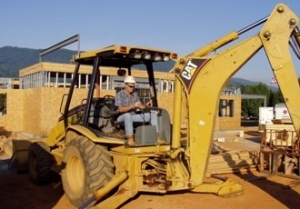 is a full service general contractor based in Scottsboro, Alabama. We provide traditional Bid-Build, Construction Management, and Design-Build services throughout North Alabama and South Tennessee. In addition, we are proud to be a partner with Eufaula, Alabama based American Buildings Company in providing quality pre-engineered metal buildings. 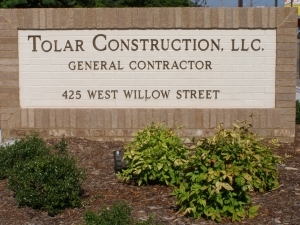 Over the years, TOLAR CONSTRUCTION, LLC. has completed a wide variety of commercial and industrial projects including: schools, churches, office buildings, manufacturing and warehouse facilities, municipal buildings, and historical restoration. While these projects varied in size, complexity, and design, they all received the same commitment we have built our reputation on: Absolute Honesty, Undeniable Integrity, Unquestionable Ethics, and Unsurpassed Quality. In addition to emphasizing these core values, we strive daily to focus on safely completing projects on time, under budget, with quality and attention to detail that our clients deserve and expect. TOLAR CONSTRUCTION, LLC. is proud of all past projects we have completed and invite you to review our list of projects. Over the years we have developed many close relationships with Architects, Engineers, facility owners, and subcontractors and enjoy an excellent reputation with these associates. We will gladly provide a list of references upon request. We believe a team approach allows us to share our knowledge and experience early in the design process. As a result, the client receives a quality project, completed in a minimum amount of time at the lowest possible cost. We look forward to an opportunity to discuss a customized design/build solution for your next project. We have the expertise to provide our clients with the tools necessary to realize their project’s full value. As construction manager, we contribute by managing your project through budget control, estimating, schedule, value engineering, scope and risks associated with design and construction. We understand that our reputation with our clients is the lifeblood of our company. As a full-service general contractor specializing in both hard bid and negotiated commercial and industrial projects, we have successfully completed new and renovation projects ranging from thousands to multi-million dollars. We are proud to be an authorized dealer for American Buildings Company. In recent years, pre-engineered metal buildings account for more than 60% of new low-rise commercial structures. They can be built with greater speed and precision and lower costs than is generally possible using conventional methods.